This book will show you the way to feel good and have more control over the world. Discover how to reduce your anxiety, your insecurities, your fears, your apprehensions, your uncertainties, your obsessions, your physical discomfort, your depression, your permanent dissatisfaction or your lack of commitment and motivation. How? At our disposal we’ll have a revolutionary instrument for change, the Therapeutic Pumping Technique (TBT), a simple and powerful tool that will give you the power and capacity to master inner control and achieve your goals. It will help you to eliminate your negative emotions, your wounds or sensitive cores and to modify your harmful mental molds, which are the cause of your dissatisfaction. Reprogram Yourself is a book you can use to change your mood and emotions and, above all, awaken your sleeping potential to the point of not only being happier, but also building your success. Are you ready? 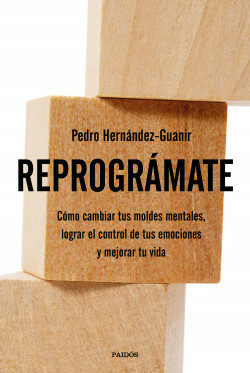 Pedro Hernández-Guanir is the author of the theory of mental molds, based on a theoretical cognitive-emotional psychological approach that takes as a reference authors such as Albert Ellis, Aaron Beck, Daniel Goleman or David Burns. This book is a very complete and useful manual, full of clear explanations, cases, illustrations and schemes that will help the reader to put into practice the techniques proposed by the author to successfully “reprogram” one’s structures or mental molds. Reprogramming yourself is possible! Pedro Hernández-Guanir, professor of evolutionary psychology and author of the theory of mental molds, presents us with a manual to achieve inner control of our emotions and a more balanced, full and happy life.